My face behind the lens! Sarah & I went out last weekend to do our family photos and it was way too cold and nasty. We decided to do some fun quick head shots of each other, I've been wanting some for awhile and just haven't made it happen! I decided to make a post out of it, a way of you getting to know ME! Here are the basics: I'm married to a wonderful loving husband and father--Josh. We just celebrated our 6th Wedding Anniversary, but we've been together almost 12 years. He played basketball, I was a cheerleader--separate schools but our schools played each other in sports with that and the help of "ICQ" We hit it off and became inseparable quickly! We have two gorgeous babies--Zoe (4) and Graham (19 months) . We live in what I call a too small of a home, but it's home for us! I babysit a few days a week, in our home-- that's my "day time job". Now some not so average things: My Strengths: You know that saying "They'd give you the shirt off their back" that's so true for me. It's so cliche but so true for my personality. I would do anything for my friends and family, and even those whom I don't know. I can multitask. In fact sometimes I am bored if I'm not multitasking. I work well under pressure. Sometimes I don't mean to procrastinate, it just happens because my plate is full, but when it comes down to the wire I can get it done! And I like my plate full. I don't know what to do with myself if I have "down" time. I can manage a room full of active kids better than I can adults sometimes. I can remember what you said or wore months ago, but then forget where I put my keys 10 minutes ago. OCD: My physiologist once told me; (yes I go to one. I won't hide that. I think everyone deserves an outsider to vent to and to keep you in check) that everyone has OCD in someways, we all just express it differently. Here is were mine comes out: I have to have a certain amount of ice in my cup before my drink goes in it. I can't wear socks that are too thin, it creeps me out. I'm weird about pens that I use, if they're too thin I just can't do it. I can't stand to touch the second toe on my foot. (It is weird to me, I hate it) My nails. I've had "fake" nails on since I was about 16 and I'm OCD about how they're done. Hobbies: I don't really have any other hobbies that I do on a consistent basis now. I have a few different things I like, but nothing big. I have a few magazines that I like to read when I have "downtime". Maybe I should take a photo of the stack of them I have sitting... because I obviously have downtime to read them. What do you not go one day without doing? I don't go a day without eating SOMETHING sweet. When I was pregnant with my son I developed the worst sweet tooth. Now everyday I have to find something small to satisfy it. What do you watch on tv: oh gosh. I watch (dvr, and watch while editing) a lot. But right now we're really into The blacklist and Orange is the new black. Things my mama taught me: Don't say "it's ok" when someone apologizes if it's not ok. Just say Thank you. How to sew You respect people. Always. Everyone has a disability (even if it's a just a weakness) once you figure out what it is, you know them on another level and you can help them grow or your relationship grow. Don't apologize for the way you fee. They're your feelings, own them. Ryan & Rachel's Louisville Wedding! 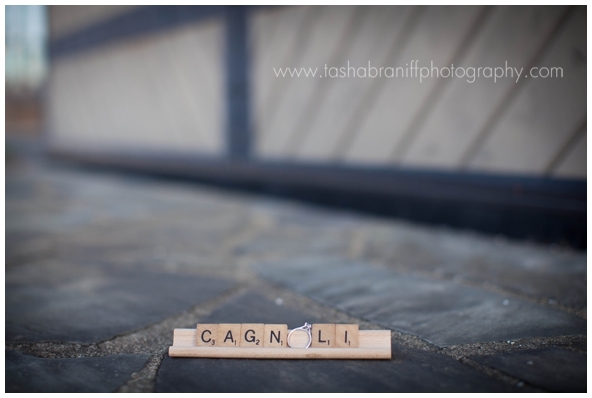 We traveled to Louisville, KY for Rachel & Ryan's wedding a few weeks ago! It was a beautiful weekend, rained off and on but nothing that was going to ruin their awesome weekend. Saturday morning we started the morning with Rachel getting her make up done at the mall. Then headed off to the church to finish getting ready. Their day was beautiful and we had so much fun. Her Father was so sweet seeing her for the first time! I don't even need to tell you how beautiful this church was! So awesome! A trolley to take us to and from... yes please! So "funny" side story about the cake. After the ceremony we found out that the cake fell into itself! Some friends/family of the couple worked hard to put it back together to the best that they could and quickly. They ended up completely loosing a tier all together. But the cake was still delicious! Thank you so much Rachel & Ryan! We had so much fun with you on your wedding weekend. And Thank You Shannon too! :) I hope you all enjoy these! 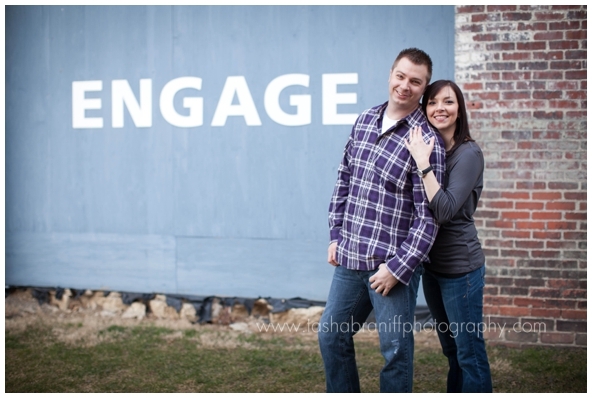 Maggie & Phil are engaged! I'm so excited for the wedding of these two! 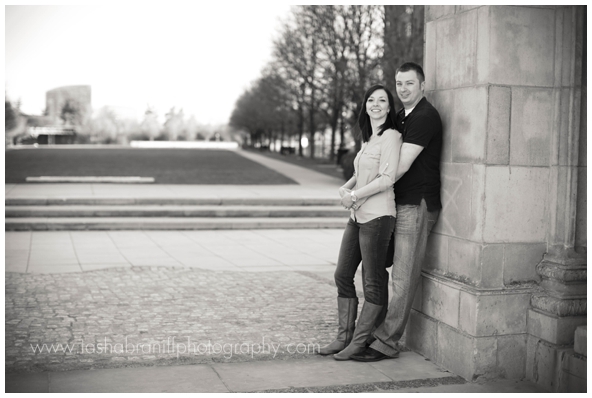 We headed downtown for an evening engagement session. They were so super sweet and it makes me that much more excited for their wedding. Enjoy your sneak peek you two! I've been shooting weddings for several years now, and I've fallen so in love with them! They are long days, and TONS of work, but so much fun. I think that everyone deserves to have amazing wedding photos, your big day only happens once. Those memories should be captured so that you have them to reflect on for MANY, MANY years in the future. Two years ago I wanted to do this contest, but I just didn't make myself sit down and do it. But here I am, trying it this year. 2013 is an exciting new year for me personally and professionally. I have so many big plans this year and I'm so excited to start the year with this one. 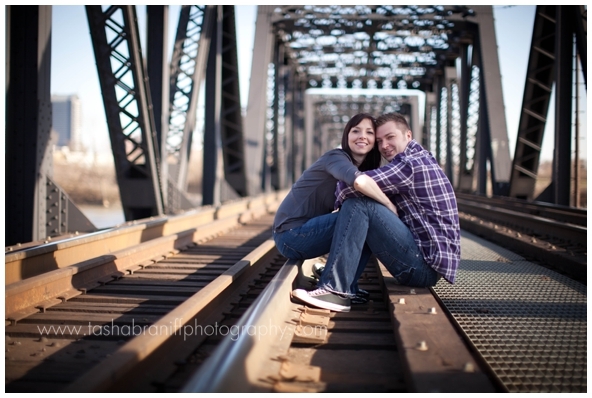 I'm looking for local engaged couples, who will be holding their wedding in central Ohio, in 2013 or 2014! A couple who is still looking for a wedding photographer, and a couple who is madly in love and willing to share their day with me. The winning couple will win 6 hours of photography coverage on their wedding day with me!!! I'm so excited for this contest and I hope you all are too! The fine print: The wedding & reception need to be held within 30 miles of Tasha Braniff Photography. This offer has no cash value. Cheaters will NOT be tolerated. If you're suspected of cheating you will be removed from the contest. The wedding date needs to be one that is not already booked. The package offered is for coverage time only, a la carte items can be purchased at a later date. Meet Miranda! She's a BEAUTIFUL senior. I did her sister's photos last year, so I was so excited when her mom called for me to do Miranda's this year. Enjoy these girl...the rest are headed your way soon!